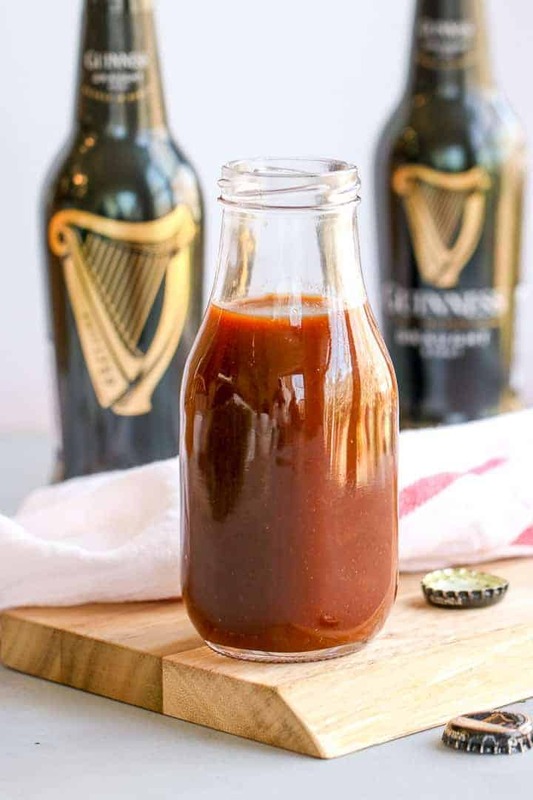 I love complex barbecue sauces and this Guinness BBQ Sauce paired with some ribs has quickly become one of my guilty pleasures. Sure, it takes a few hours to make, but I can guarantee that it’s worth the time spent on it. The good news is that it’s pretty hands off once the ribs are in the oven. 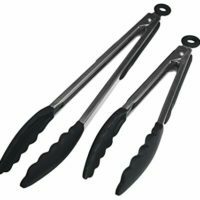 I like flipping them every 30-45 minutes and throwing more sauce on both sides just to make sure the flavors really set in there. 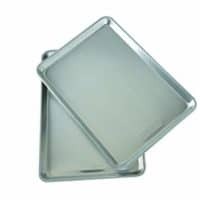 Anyone else just hungry looking at these pictures? I’m suddenly craving barbecue. I am a sucker for sides with barbecue and this Purple Potato Salad definitely doesn’t disappoint. Try it with some coleslaw or mac and cheese to round it out for a fantastic meal. 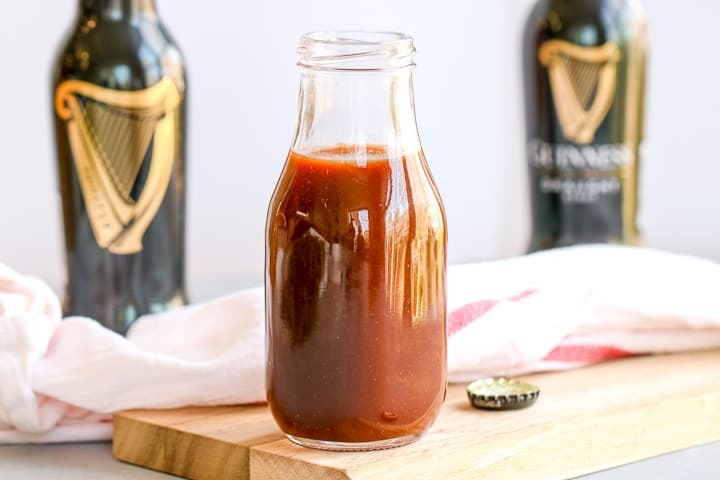 If you’re looking for a barbecue sauce without any alcohol, check out this Homemade Barbecue Sauce as another option! 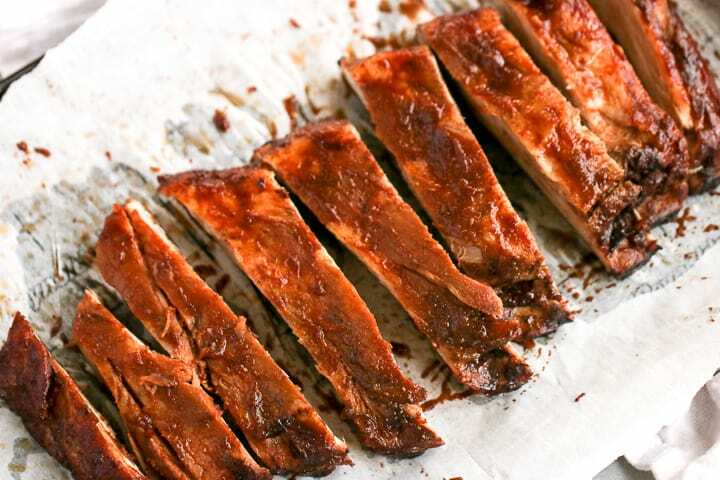 These Maple Brown Sugar Ribs are sweet and savory and will make you go back for more with each bite. Don’t have time to make your own sauce? Sweet Baby Ray’s is my go-to! 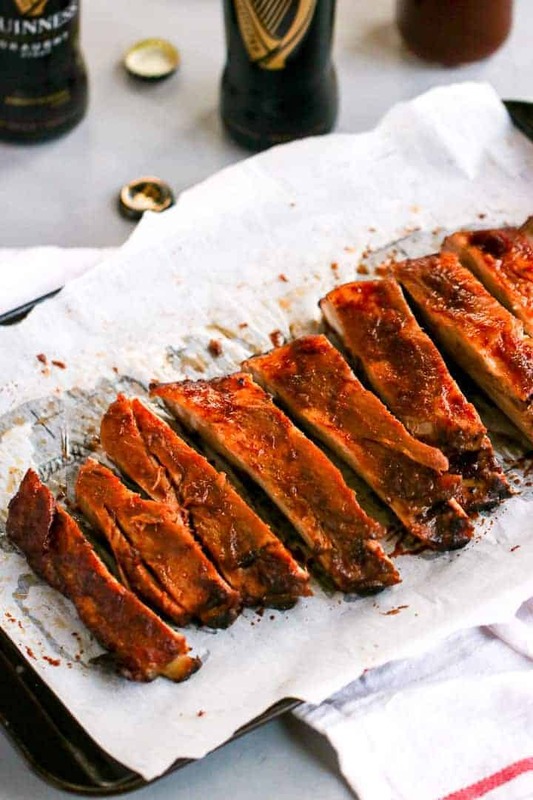 Use a large baking sheet lined with a few layers of aluminum foil or parchment paper to hold up the weight and mess of the ribs. 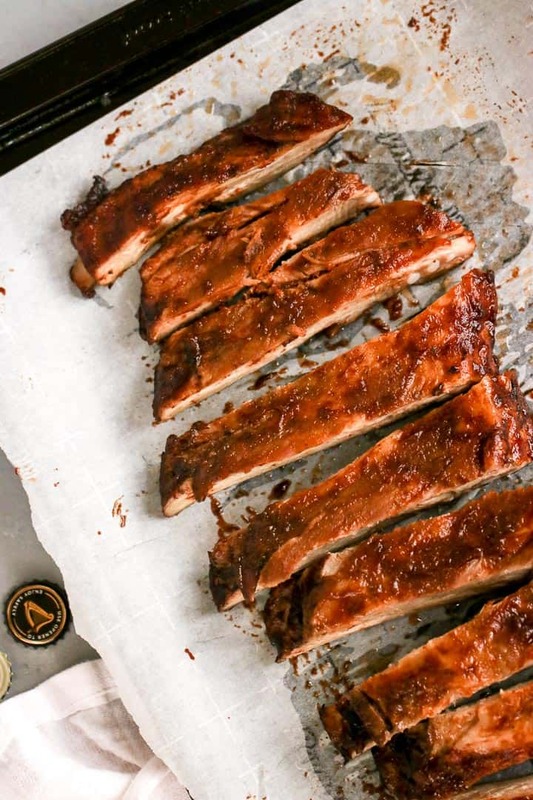 Silicone brushes make it super easy to slather the sauce over the ribs. Reserve some of the sauce to use to dip the ribs! Consider making extra sauce if you love extra saucy ribs. 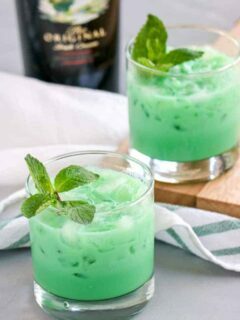 Be sure to enjoy and tag me with #theculinarycompass on Instagram if you make these! 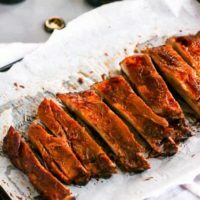 These slow roasted Guinness BBQ Ribs are easy to make and are so tender with many layers of flavors. Salt and pepper both sides of the ribs and place on baking sheet. 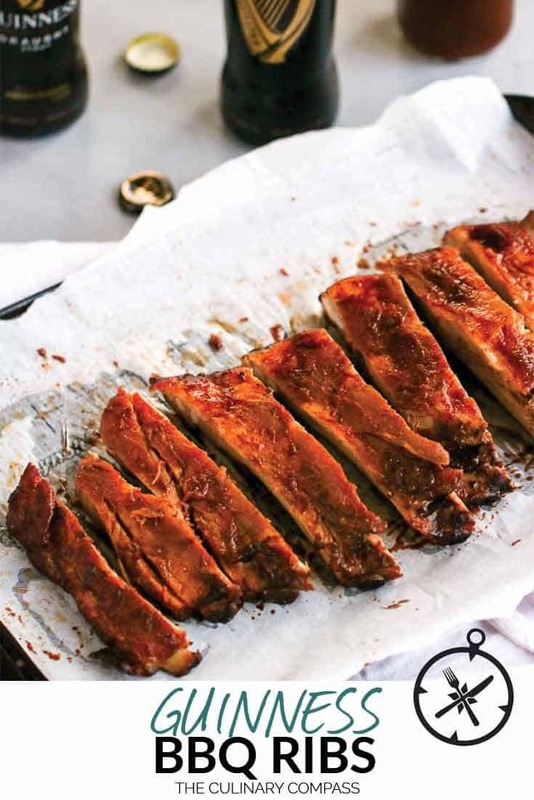 Brush both sides of ribs with barbecue sauce and place in oven. Flip every 30-45 minutes and brush with more barbecue sauce until done, 3.5-4 hours. Let sit 10 minutes then slice. Serve with extra sauce.